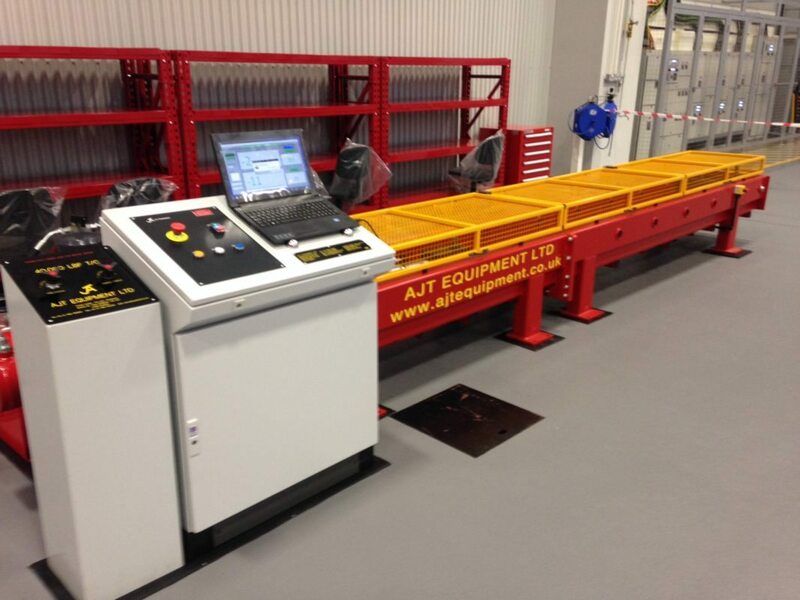 Tensile Test Equipment, that is, pulling on a sample to be tested with a set load, is what AJT are probably best known for. Tensile testing has of course been used for 1000’s of years, yet it is only in the last couple of hundred years that we have been able to measure the load more accurately. Have you ever thought about how many different items that are manufactured have to be tested? We have – though what we concluded was that there are so many, we should focus on the ‘process’ of testing rather than the size of the industries. Tensile test equipment has of course been used for thousands of years, yet it is only in the last couple of hundred years that we have been able to measure the load more accurately. Traditionally, industries such as rope makers have used tensile test equipment to ‘proof’ ropes. This involves placing them under sufficient tensile strain and seeing that they firstly do not break! That may seem obvious, but you would be surprised! Secondly, that the method of manufacturing can be fine-tuned, since any rope is a twisted group of fibres, it is important for a long life that the raw materials, pre-treatment and the rope making technique itself is variable. No-one wants a good rope on a Monday and a bad rope on a Tuesday, so the consistency of manufacture and therefore quality control can also be assessed with a regular tensile test sampling on the products produced. Tensile testing with a simulation of what the product is likely to face in use in the ‘real world’ is also helpful, since the equipment can then test the sample in a realistic way and the details from very accurate Data Logging can often highlight, where in the tensile test the performance becomes weaker or begins to fail. Today, we tend to use most of this type of tensile test equipment for metal ropes and components, however we still service and calibrate traditional rope making tensile testing machines, although 20 years ago we saw a lot more. Sadly, some of these more traditional industries have largely disappeared and been replaced in part at least by wire rope manufacture. We do of course manufacture tensile test equipment for wire rope applications and have done for many years, so of these tests need to be on quite large samples, so we are happy to manufacture test beds that can accommodate pretty much any desired rope test length. Feel free to get in touch, if you need equipment for your specific tensile test, whether for ropes, wire or indeed anything that needs to be tested under load. 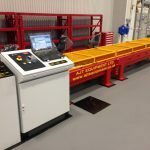 We hope that you have found this article informative, you may also like to read our previous blog on testing equipment supplier AJT and our fame on Top Gear!